These exercises will help you drop off weight while also gaining muscle. And they can all be done with no equipment and at home. It doesn’t matter if you do try to reach a certain number of reps or try and do as many as possible in a certain amount of time, these exercises will burn fat better than any other. To start a burpee, drop, from standing, into a squat with your hands just in front of your feet and touching the ground. Then shoot your feet out backwards while keeping your arms straight. You end up in the starting position of a push-up. From that position, jump your feel back close to your hands. Finish it off by jumping straight up with your arms above your head. Then repeat after landing. Burpees are a full-body exercise. You will feel them work almost every muscle group, improve your cardio, and put your balance and coordination to the test. 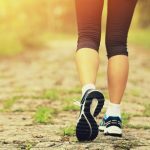 Begin standing with your feet shoulder width apart and take a large step forward. Bring your knees down until they create two 90-degree angles. This creates a standard lunge position. Make sure to keep your upper body straight and upright during the exercise. From this standard lunge position, jump up into the air and change legs while in the air. You will land into the lunge position again, but with the other leg in front. Lunges are an exercise that work the whole of your lower body, from your core down to your ankles. The jumping element will also get your heart rate going and work on your cardio. Plus, your core gets a good workout too by keeping your upper body straight and ready to jump again. To perform a jumping squat, start with your feel shoulder width apart. Slowly bend you knees until they form a 90-degree angle. Hold that position for 2 seconds and explode straight up, jumping high as you can. Bring your knees to your chest while in the air. Your thighs should contact your upper body. Make sure to control the landing and drop slowly into the squat position again. Jumping squats use your whole lower body while also engaging the core. Their explosiveness will soon leave you out of breath, working on your cardio. They help improve explosive power, balance and coordination. To start a push up you should get on all fours, with your hands slightly wider than your shoulders. From there, extend your legs backwards. Keep your body in a perfect straight line, with your feet close together or apart, whichever you find comfortable. Pull your belly button towards your spine, this is called engaging the core. Then, start to slowly lower yourself by bending the elbows until the reach 90-degrees. Pause for a second and push back up. A push-up works your whole upper body, from the stabilisers around your shoulders to your core, both front and back. It will also serve you incredibly well in every day life, as it is an incredibly functional exercise. To perform a mountain climber, you should start in the push up position. Keep your hands, hips and feet in a straight line. Then, bring one knee to your chest. Return your foot to the starting position and bring the other knees into your chest. And repeat! Mountain climbers are another full-body exercise, which if done at pace, is a good cardio work out too. While your core is the main muscle group you work, your legs and shoulders are also working to keep you balanced. To perform a side plank with leg-raise, start by getting into a frontal plank position. From that position, rotate you body onto one side without dropping your hips. While on your side, raise the upper legs until it is in line with your shoulders. Drop your leg, return to frontal plank and rotate to other side, repeat. Side plank works your core, obliques and shoulders, however, adding a leg raise works your hips too. 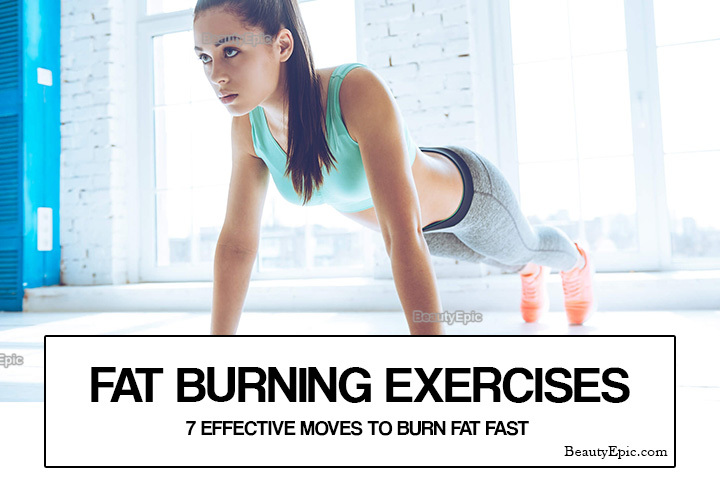 This makes the exercise a full-body work out which is ideal for fat burn and toning your body. Start by laying on the floor on your back, with your arms extended above your head, and your legs out straight. Then, raise both arms and legs so they meet in the middle. Jackknives are normal crunches taken to the next level. They work your core, hips and shoulders. A full body workout you will benefit from. 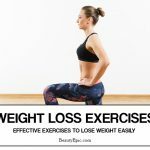 Create a workout around these exercises and you will see the weight drop off. You will be beach body ready in no time! Remember to increase reps/time every week to really benefit.